2007-2018 © OnlinePlantGuide.com All Rights Reserved. Information and images may not be reused without written consent. 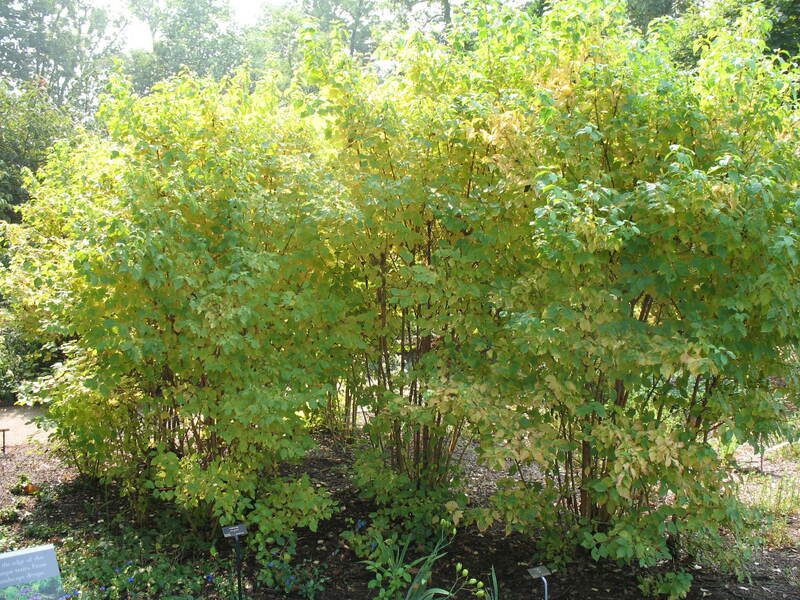 Comments: Its showy yellow branches with red twigs that last all winter. Birds eat the fruit. Not well adapted to the hot, humid South. Needs considerable cold to perform well. Makes a handsome mass planting or as a single specimen.